Phil is a Senior Member of The Cavanagh Law Firm, practicing in the area of family law, which includes divorces with substantial assets, property characterization and complex financial issues, as well as preparation of pre- and post-marital agreements. He is a member of the American Academy of Matrimonial Lawyers and the American College of Trial Lawyers, has been listed in Best Lawyers of America since 1987, and is certified by the Arizona State Bar as a Family Law Specialist. Phil was born in Minneapolis, Minnesota, but at an early age, his family moved to Iowa. He attended Iowa State University and Coe College, receiving his B.A. from Coe College in 1968 and his J.D. from Drake University in 1973. Phil’s litigation experience in family law matters includes the analysis and trial presentation of separate and community property issues, business valuations, the community or separate property characterization of retirement plans, stock options, restricted stock, and other management level compensation plans, spousal maintenance claims and various tax aspects of these financial issues. These issues frequently involve working with forensic experts, including accountants and valuation experts. Although Phil’s litigation experience has been almost exclusively family law matters since 2000, in the earlier years of his practice, he also had extensive involvement in commercial and/or business litigation, in both federal and Arizona state courts, including anti-trust litigation and securities class actions, as well as other types of business disputes. 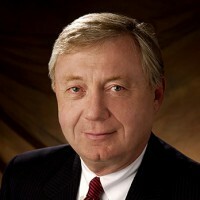 In addition to his above-referenced memberships, Phil served as a member of the Arizona Family Law Advisory Commission for Certification of Family Law Specialists, and was a member of the Arizona Revised Jury Instruction Committee, including the original subcommittee on jury instructions in contract cases. He has been a speaker for numerous CLE presentations for the Arizona and Maricopa County CLE programs, as well as Law Education Institute’s national seminars, with an emphasis on business, property and tax aspects of family law litigation.